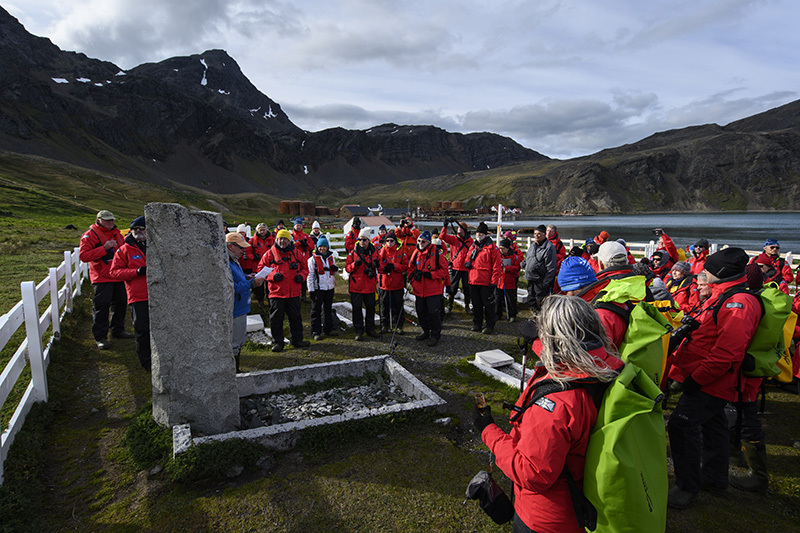 With the final voyage of the 2018/2019 Antarctic expedition cruise season complete, we reflect upon an exceptional season that took passengers to the Antarctic Peninsula, South Georgia, the Falkland Islands and beyond the Antarctic Circle, witnessing incredible wildlife, interacting with special guests and learning from our team of educators and experienced polar expedition guides. The season started with the inaugural voyage of our newest vessel, RCGS Resolute. 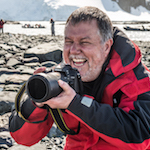 Explorer-In-Residence for The Royal Canadian Geographical Society (RCGS), George Kourounis, joined us onboard the much anticipated ‘Antarctica Off the Beaten Track’ voyage. Passengers were able enjoy the early season conditions by partaking in activities such as snowshoeing, ski touring and camping under the stars. 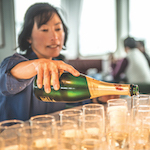 For the ‘Christmas in Antarctica’ voyage, renowned cave diver and RCGS fellow Jill Heinerth joined guests on board. 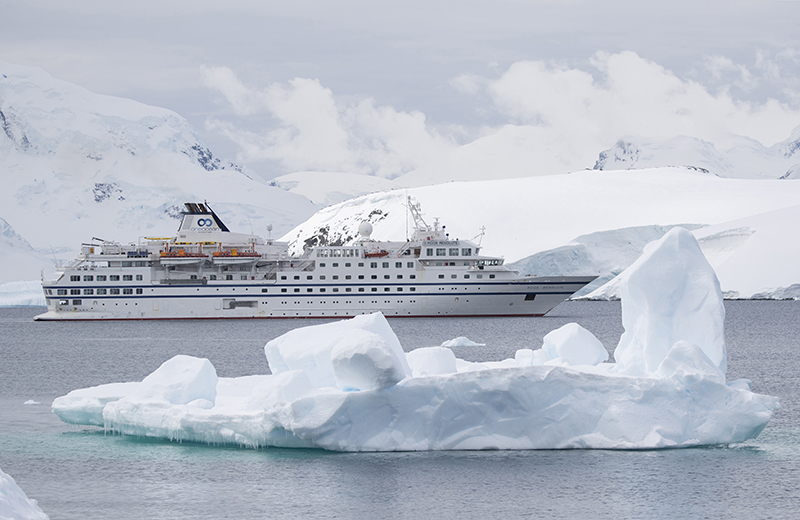 A Photography Symposium led by famed photographer Daisy Gilardini and artist David McEown was held on the Akademik Sergey Vavilov, with a second symposium taking place later in the season with award-winning photographers Dave Brosha and Paul Zizka. Guests were thrilled by the staggering amount of wildlife and raw beauty of the region as they captured images in small groups. 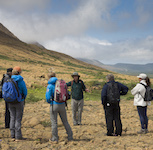 Inspired by Shackleton’s journey through South Georgia, environmentalist and filmmaker Tim Jarvis followed in his footsteps with his team to assess the current state of the glaciers and continue their campaign on climate change. Documenting each step, Jarvis and his team were in awe of the legendary landscape and collected astonishing footage of the region. Shackleton’s Grave. 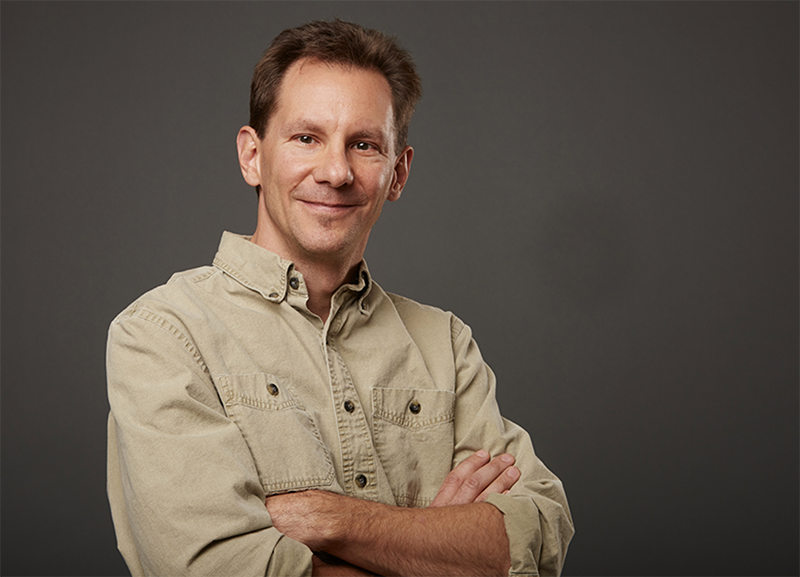 Image by Reed Hoffmann. This season saw the return of Ron Naveen and the penguin counters of Oceanites, now in its 25th year, as well as Marine Mammal Scientist Dr. Ari Friedlaender and his team from the California Ocean Alliance. The scientists, as well as OOE’s team of experts, were able to utilize the newly installed ‘One Lab’ as a space for data analysis and scientific research. 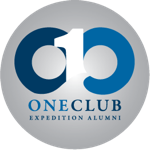 For the first time ever, One Ocean Expeditions implemented a satellite-based video conferencing technology through Connected North. The state-of-the-art ‘Cisco’ unit successfully connected onboard scientists with students from across North America in an interactive broadcast where they shared their in-depth knowledge about the underwater behaviour of marine mammals. 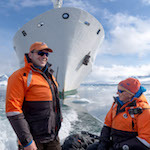 Filmed on board in 2017, documentary film ‘The Map to Paradise’ held its Antarctic premiere onboard RCGS Resolute with a packed house enjoying popcorn and custom cocktails to celebrate the occasion. The film delivered a colourful collection of character-driven stories that takes the viewer on a quest to protect the last wild and pristine marine places on Earth. The Map to Paradise – Trailer (2019) from Bluebottle Films on Vimeo. 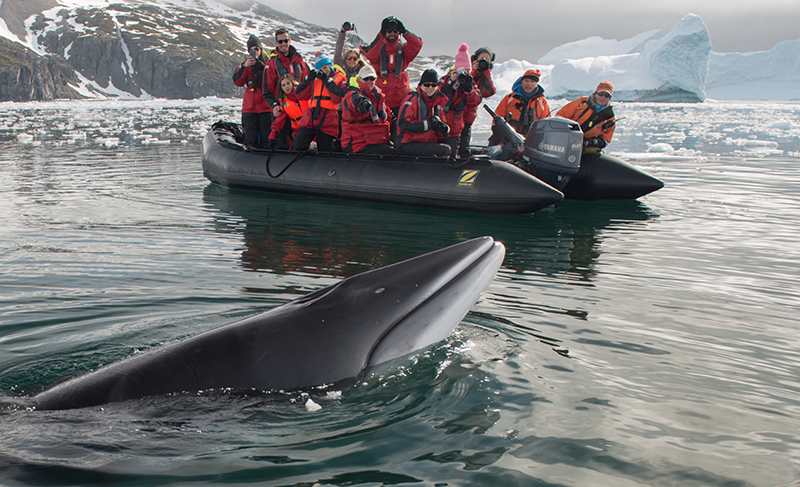 A visit to Antarctica is a life-changing experience, and passengers were able to experience not only the awe-inspiring landscapes but a plethora of wildlife including vast numbers of humpback and minke whales, a variety of seals and birdlife, and of course the ever-popular penguins. This season some guests were also fortunate to spot a rare leucistic Gentoo penguin, as well as endangered fin whales by the dozens at Elephant Island. 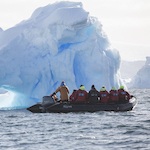 For more information on our Antarctic voyages click here or speak to your preferred travel agent or our knowledgable sales staff here.